UFC President Dana White is making it very clear that he is not at all happy with current UFC welterweight champion Tyron Woodley. During a recent interview at the UFC 231 ceremonial weigh ins in Toronto, Dana White revealed that he is ready to move on from both Tyron Woodley and Colby Covington. The brash UFC boss was hoping to book the highly anticipated Woodley vs. Covington grudge match to headline January’s UFC 233 event in Anaheim. 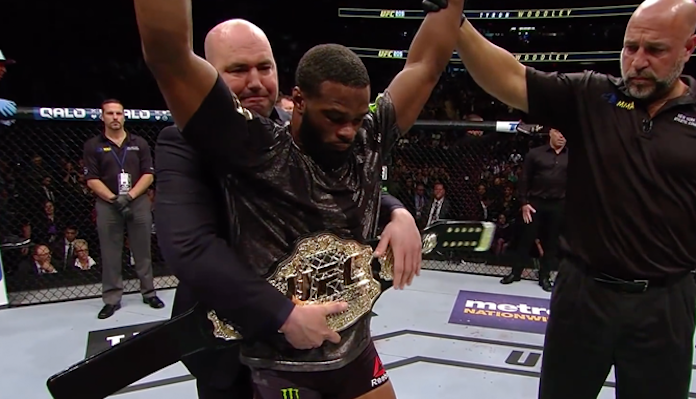 However, according to Dana White, Tyron Woodley doesn’t want to fight anybody. “When is Woodley ready to fight anybody, ever? Tell me when?” White asked (via MMAJunkie). A reporter reminded the UFC President that Woodley had just competed at September’s UFC 228 event, submitting the previously undefeated Darren Till in round two. “Yeah (he just fought three months ago), and it took us forever to get him to fight that fight. He never wants to fight. You want to be a world champion, but you don’t want to fight anybody. That’s a problem.” claimed White. Following his impressive victory over Till, Tyron Woodley revealed that he had suffered a hand injury which would require surgery. 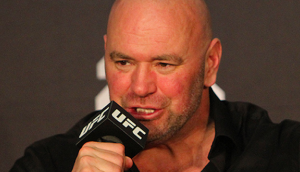 While Dana White conceded that he believes Woodley’s injury is real, that didn’t stop him from taking shots at the UFC’s reigning welterweight champion.